A friend’s sister was recently in an accident. I thought she might appreciate something a little vintage and a little modern to brighten up her recovery. 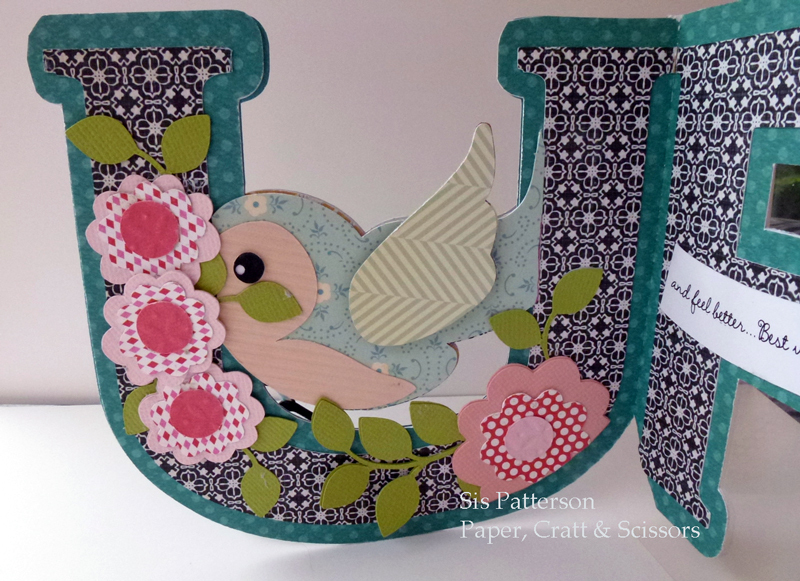 I liked the open “U” so I needed to make sure I maintained plenty of open space while adding all of the details. 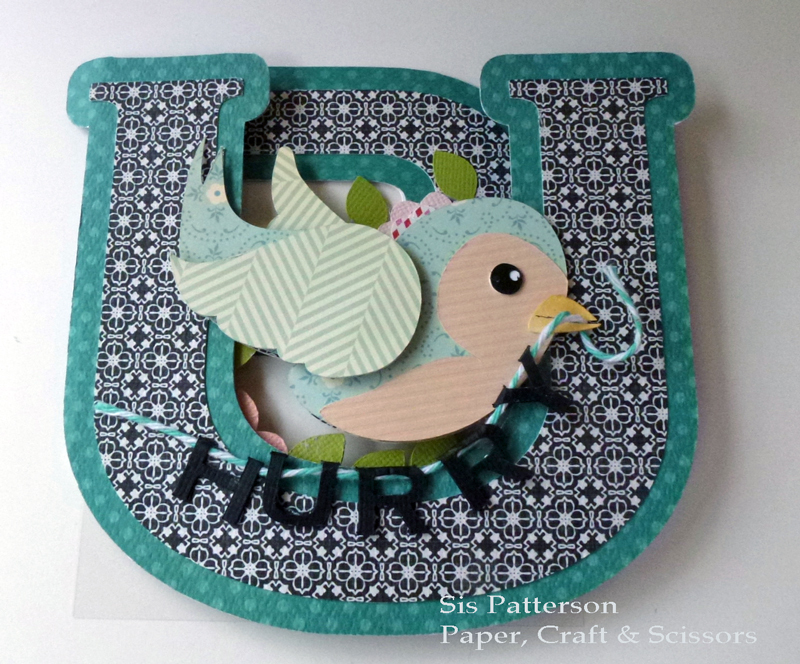 The little bird is from the Silhouette Online Store and I used a variety of papers and patterns to create her. The “hurry” banner used Arial font; I copied and flipped the word vertically and horizontally and then welded each of the letters together. After cutting, I folded the letters over the bakers twine. I cut the bird’s beak in Papertrey Ink cardstock, colored it with Copics, and hand trimmed her beak so she could carry her banner. To make the “U”, I used the Silhouette Designer Edition software and Copperplate font. I then used the offset feature for the teal outline. The completed “U” measures about 5.5″ wide and 4.75″ tall. Next I created the inside of the card by copying the “U” from the front of the card and welding it to a “P”. Underneath all of the patterned papers, is a Papertrey Ink cardstock foundation to provide for stability. 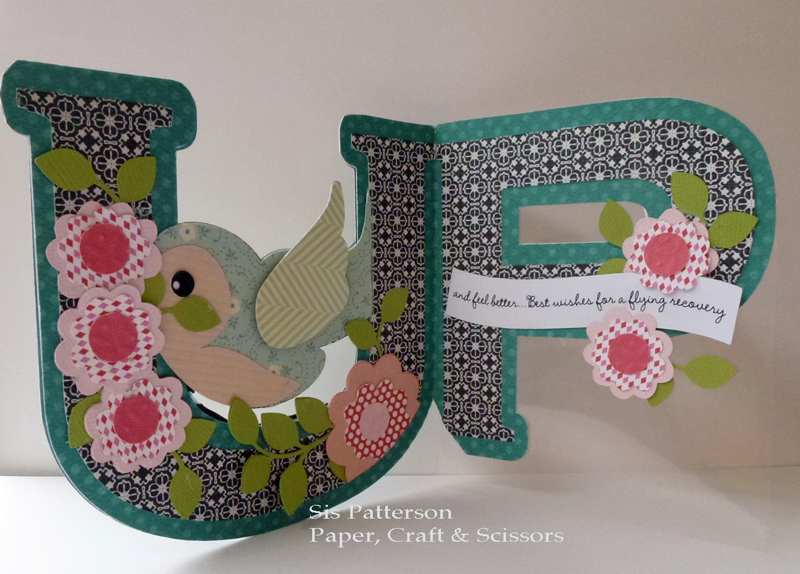 I cut the bird a second time (after flipping it horizontally) as well as the individual letters and the teal offset. I hand trimmed some of the bird away to make it look as if it were flying between the layers. The flowers are from the Silhouette Online Store. I hand trimmed the “P” so it wasn’t visible from the front of the folded card. 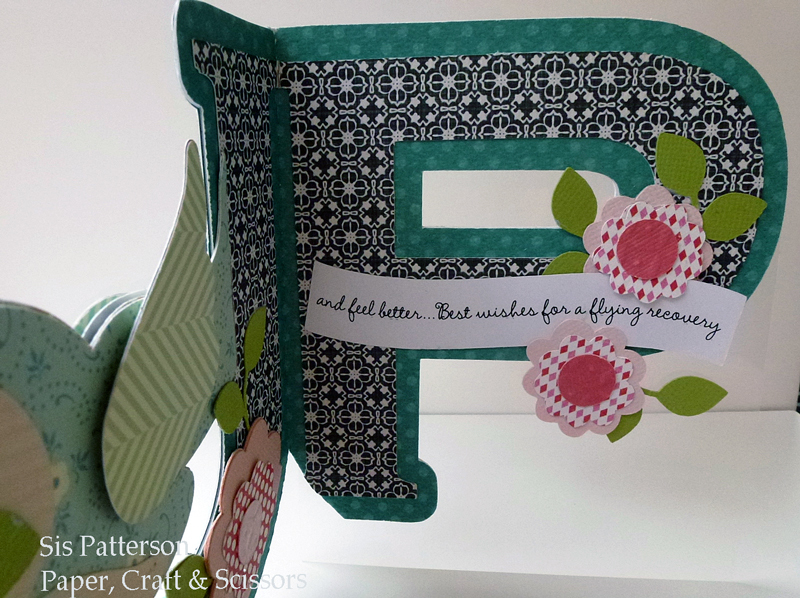 I added a piece of acetate to the back of the “P” so the card could stand open. The banner sentiment uses the Silhouette Designer Edition software “text to path” and print and cut feature. And there you have it, a fresh twist on vintage.